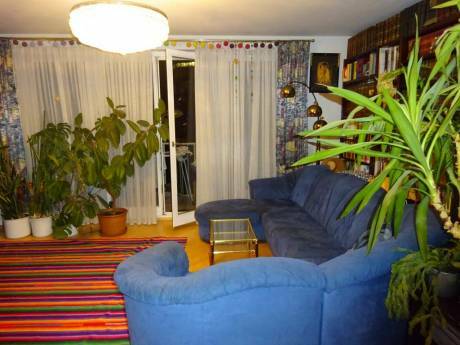 Our flat is very nice, lightly, spacious, comfortable and clean. We have a nice kitchen, one Living room (bed couch), one Bedroom (double bed) a Bathroom, a study-readingroom and a toilette. 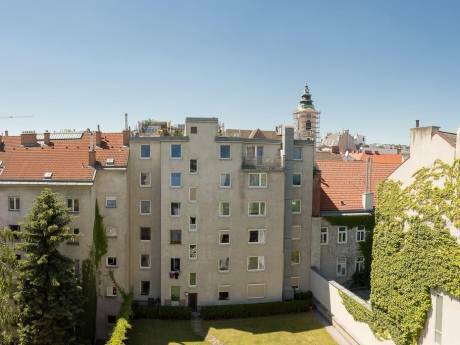 In a very nice old typical Viennese style, with wooden floor, one fire place and normal hitting and very close to the shopping area, to the city center and 5 minutes walk to one of most beautiful parks (Türkenschanzpark)in Vienna, also 10min walk to the Volksopera. We are a couple about 30, i&#180;m from Argentina and Josef from Austria. We are Professionals, me Dancer, Choreographer and Dance Teacher and Josef is Theatre Director. We both work in different Theatres and Production in Europe. We really like exchanging with other people and travelling around different countries. We speak German, English and Spanish. 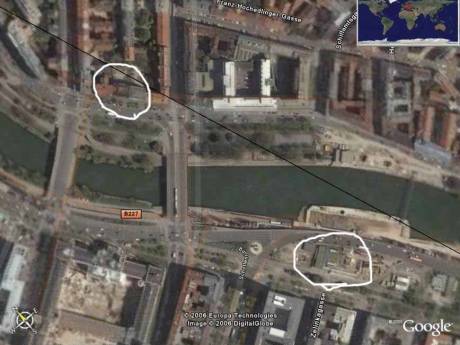 We live in the 18th District, very confortable and beautiful place in Vienna. The neighbourhood is very nice, alive but not noise. Ideally for Tourist, nice restaurants, Viennese and foreign cuisines, Cafes with music and entertainment in the evening. There are many art galleries and museums, many parks and theatres. Underground line u6 and the tram 40 and 41 and many other transport possibilities, also the nightliner. There very close Original Marks and normal Supermarkets, Parks and Art Places to visit.